There are a large number of fitness trackers in the market, and many of them claim to deliver accurate health data based on a variety of biomarkers. Now, a new device called ‘Lumen’ may the most amazing of them all. 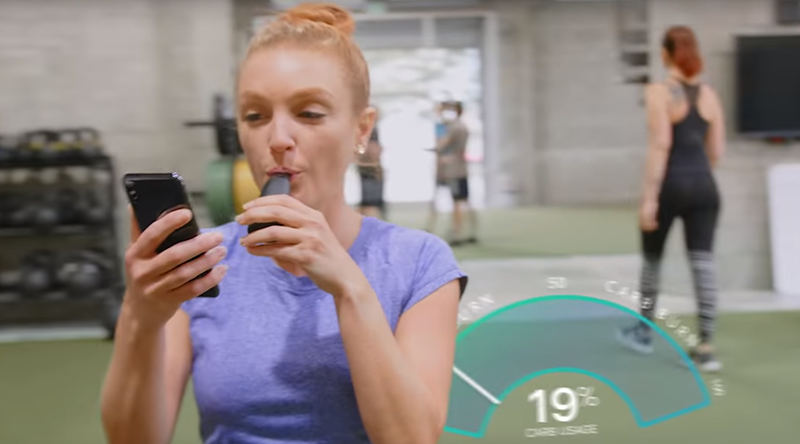 Developed by Metaflow, an Israel-based company, Lumen analyzes your breath to determine whether your body is currently burning more fat or carbs. The device looks like a tiny breathalyzer. At the top, there’s a mouth-piece to breathe into in order to populate results. You’ll need to take breath into the device every morning, and your daily goal for carb consumption, along with meal and snack recommendations will be displayed on the app. “We developed this small device that actually measures your metabolism from your breath. It tells you if you’re producing energy from using carbs or fats. 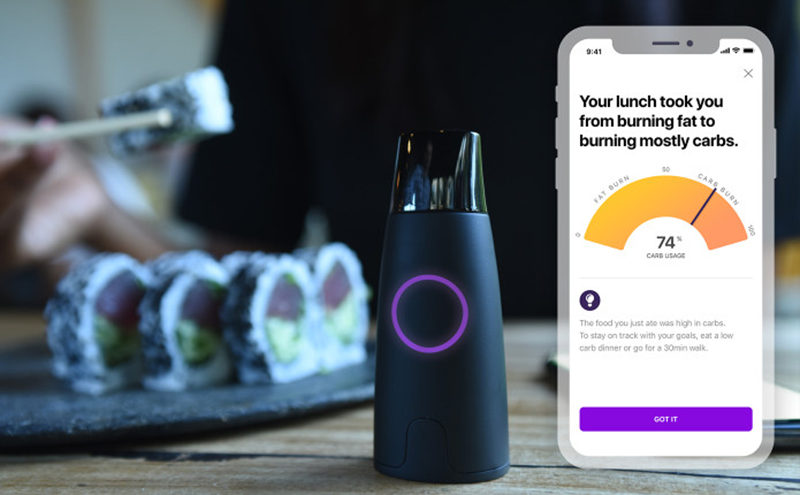 And when you do a morning measurement after you’ve been fasting before eating it’ll tell you how healthy your metabolism is and build your personalized meal plan,” Dror Ceder, Lumen CPO and CMO told MedGadget’s Michael Ostrovsky at the CES 2019. The idea of measuring metabolism through the breath isn’t new, many world-class athletes have been using it reach peak levels of fitness for years. This type of metabolic measurement is known as RQ, or respiratory quotient, and is the ratio of carbon dioxide (CO2) to Oxygen (O2) consumed. But traditional RQ measurement requires a person to be placed in a metabolic cart or chamber for up to 60 minutes, and a team of practitioners to work on analyzing the results. Lumen’s patent-pending technology reduces the time it takes to measure metabolic fuel usage from 60-minutes down to a single breath. Lumen partnered with design firm Frog on the device. From its compact size to its protective matte coating and magnetic cap, Lumen is designed with an attention to detail to make it easy to use– anywhere and at any time. It’s taken us 4 years of prototyping and testing to develop this breakthrough technology.